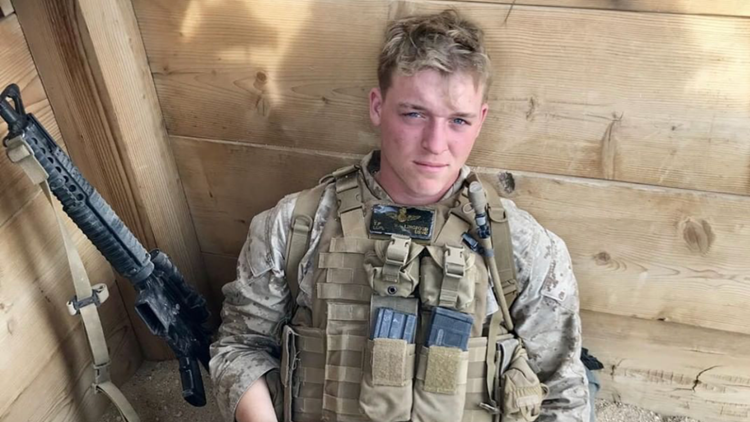 Tyler Wallingford, 21, was killed Friday in his barracks at an air station in Beaufort, S.C., military authorities say. 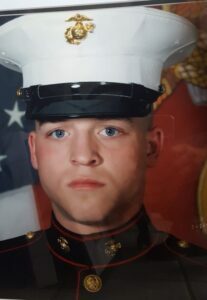 A military investigation is underway into the shooting death Friday of a 21-year-old Marine corporal from Standish in his barracks at a South Carolina air station, military officials said. Tyler Wallingford Photo courtesy of Standish Public Safety Department. The Naval Criminal Investigative Service is investigating the death of Cpl. Tyler Wallingford, 21. Military investigators have detained a suspect, Cpl. Spencer T. Daily. Both were aircraft ordnance technicians with the Marine Fighter Attack Training Squadron 501 based at Marine Corps Air Station Beaufort in Beaufort, South Carolina. Wallingford was a third-generation firefighter who started work with the Standish Fire Department in 2013 while he was still enrolled at Bonny Eagle High School, the town said in a statement. The school district said Wallingford graduated from Bonny Eagle in 2015. Standish Fire Chief Robert Caron said his department and many others throughout town who knew Wallingford are mourning his loss. Caron has been with the Standish Fire Department for 28 years and was mentored by Wallingford’s father, who still works for the department. Caron met young Tyler right after he was born, but got to know him better when he joined the department as a junior firefighter. Wallingford finished his fire training with a local department in South Carolina, but he would always come back to the fire station when he was on leave, and the crew always left out his gear in case they needed him to respond to a call. In line with that adventurous spirit, Wallingford began skydiving, and recorded more than 100 jumps in what seemed like no time, Caron said. Caron said he’s been by the family’s side since they learned of their son’s death Saturday. “They’re doing better than I expected them to be, but obviously completely heart-broken.” Plans are underway for a public service, but nothing had been finalized Monday. So far the Marines have said little to the family about what happened inside Wallingford’s barracks, Caron said. “As with the family, everyone’s anxious for answers, but they want to put him to rest first,” Caron said.